2017 sees the 50th anniversary of the 1967 Sexual Offences Act which decriminalised homosexual acts in England and Wales between adult males, in private. While it would take several decades before homosexuals would reach anything like full equality in this country, this legislation marks the beginning of this journey. 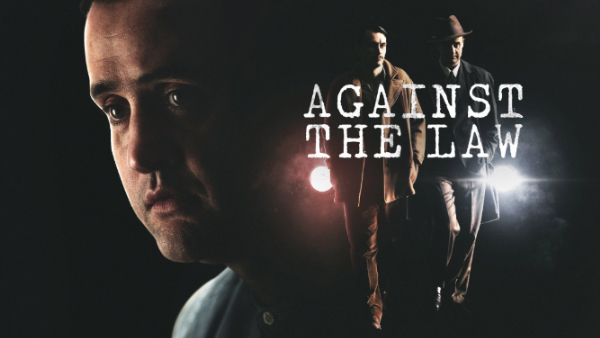 But the dramatic events that led to this Act took place over ten years before and are at the heart of Against the Law, a powerful factual drama starring Daniel Mays and Mark Gatiss. Mays plays Peter Wildeblood, a thoughtful and private gay journalist whose lover, under pressure from the authorities, turned Queen's evidence against him in one of the most explosive court cases of the 1950s - the infamous Montagu Trial. Wildeblood, and his friends Lord Montagu and Michael Pitt-Rivers, were found guilty of homosexual offences and jailed. But the public thought the trial unfair and forced a reluctant government to set up a committee to investigate whether homosexuality should be legalised. The committee was led by Sir John Wolfenden. With his career in tatters and his private life painfully exposed, Peter Wildeblood began his sentence a broken man, but he emerged from Wormwood Scrubs a year later determined to do all he could to change the way these draconian laws against homosexuality impacted on the lives of men like him. He was the only openly gay man to testify before the Wolfenden committee about the brutal reality of being gay in this country at that time. In 1957 the committee recommended that the laws be changed. It would take a further 10 years before these recommendations would become law. Woven through this powerful drama is testimony from a chorus of men who lived through those dark days, when homosexuals were routinely imprisoned or forced to undergo chemical aversion therapy in an attempt to cure them of their 'condition'. There is also testimony from a retired police officer whose job it was to enforce these laws and a former psychiatric nurse who administered the so-called cures. All these accounts amplify the themes of the drama and help to immerse us in the reality of a dark chapter in our recent past, a past still within the reach of living memory.